British Airways has blamed industrial action and disruption caused by the Icelandic volcanic ash cloud, after recording a £164m pre-tax loss in the second quarter. The figures, which cover the period from 1 April to 30 June, represent an even worse performance than over the same quarter in 2009, when it registered a £148m loss. 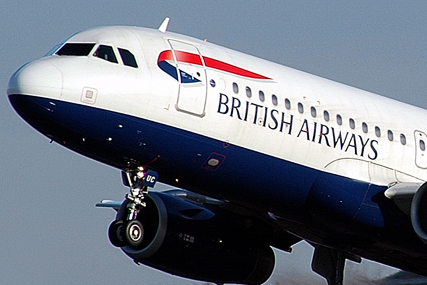 BA is blaming the loss on £250m-worth of disruptions suffered during the quarter. Total revenue over the period was down 2.3% year on year, while passenger revenue fell by 3.4%, although BA claims that "without the disruption", passenger revenue would have grown by 11%. The airline claims it will still achieve break-even at a pre-tax profit level for the full year. In spite of the losses, and the threat of further strikes by cabin crew staff, chief executive Willie Walsh claimed that financial performance improved during the quarter, with underlying revenue increases and cost reductions being implemented. Walsh also pointed towards two "major strategic milestones" achieved in the past few weeks, in the form of its alliance with American Airlines and the merger with Spanish carrier Iberia, as reasons for optimism.